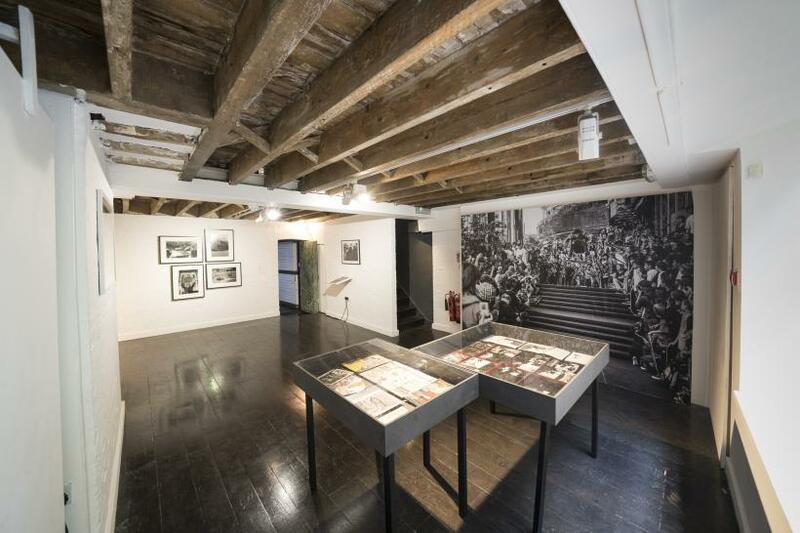 A youthful veneration and life-affirming energy courses through the bright and intimate exhibition space of 15 Bateman Street, Soho, where Against the Grain took place in July and will tour to North America in 2019 before heading to Tokyo in 2020 to coincide with the Olympic Games. Produced by Jaime Marie Davis and Frankie Shea, it dynamically explores the development of skateboarding as subculture. Across numerous rooms range a selection of work by fourteen photographers, including an eclectic selection of previously unseen photographs from filmmaker Spike Jonze, alongside expressive photography by J. Grant Brittain, including the iconic cover image of Todd Swank for Transworld Skateboarding; and the laid-back style of Glen E. Friedman, whose early work documented the pioneers of the modern skate scene in the 1970s. Perpetually on the outskirts of mass acceptance despite its burgeoning popularity, a narrow conception of the sport is expanded upon within the exhibition: that of young men in baggy-trousers launching themselves from precarious heights to execute tricks with various levels of skill and dexterity; trying to tame gravity but sometimes failing. 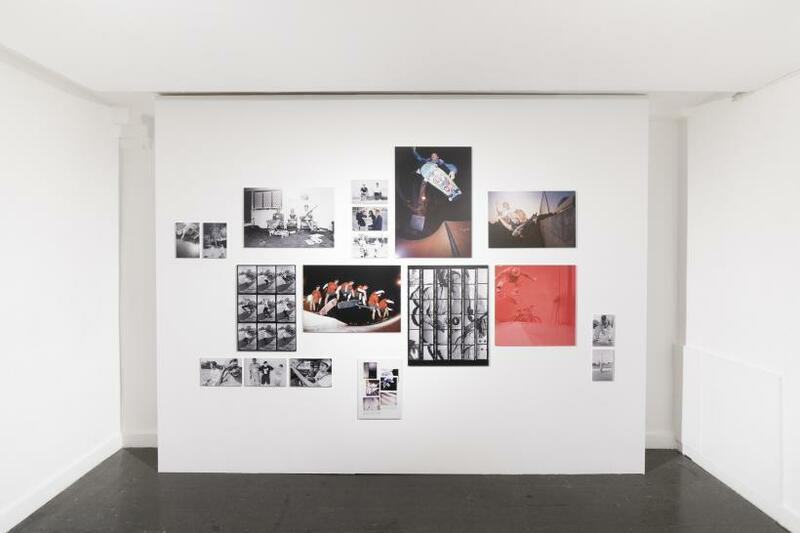 While to a certain degree the exhibition fulfills these expectations, Against the Grain focuses on the lives, lifestyles and communities engendered by the practice of skateboarding, convincingly expressing the powerful sense of autonomy it fosters. The writing of cultural documentarian C.R. Stecyk III, hangs like a sacred scroll at the back of the entrance. Taken from the introduction to the quintessential 1999 photo-book Dysfunctional, it details the far-reaching roots of skateboarding, noting their origins in the ‘caballitos’ of Peru (small boats made with bound up reeds) from around 3000 BC, and its evolution into what would become “sidewalk surfing”. Amidst a timeline of dates, historical moments and regional specificities, a passionate address by the writer encapsulates the activity’s appeal and acts as a mantra for the sport: “Skateboarding dwells in the present. Yesterday’s heroes, the mangled messages left molding by the all-fronts media blitz and tomorrow’s tragedies are all meaningless to the contemporary skater. All that matters is the act of skating […] the pure and simple act of the infinitely complex methodology of travelling through space and time.” It is a poetic summation of pure being, of a present-focused engagement between the individual and their environment, mediated by only four wheels and a deck. Skateboarding will finally become a competing sport at the 2020 Tokyo Olympics and this is acknowledged as a landmark moment, having finally achieved mainstream acceptance. However, as would be expected from a show entitled Against the Grain, the sport is depicted as having a historically anti-establishment ethos, tending to eschew respectability. Unlike other sports, it manifests a palpable sense of individualism and free-spirited energy as it playfully oscillates between disobedience and control, challenging the socially regulating nature of space. 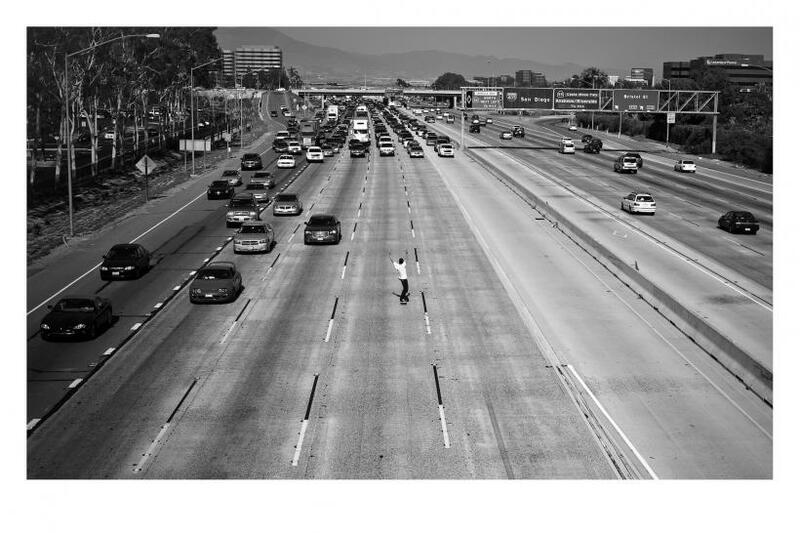 In one of the show’s defining images, Skin Phillips’s monochrome panorama oozes defiance and joyful liberation as the titular skater Don Brown coasts down the centre of a busy highway, his lone figure confronting a wave of traffic. While cars sit immobile, held hostage in their prescriptive lanes, he veers from side to side, going against the flow of social order. Glen E. Friedman’s foundational images and Wig Worland’s sequential series of skater Chris Oliver also present a challenge to conventional ideas around public and private space: bus stops, benches and walls becoming objects to master for their performative art. 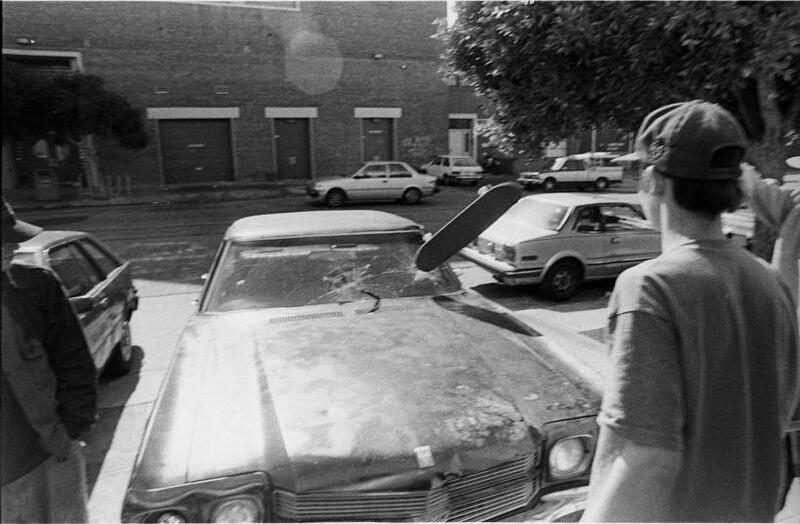 Doing nothing to dispel the concerns about the “menace” of skateboarding, Tobin Yelland’s black and white photographs from the 1990s document the Anti-Hero group’s misdemeanors. Bright, sunny Californian imagery is replaced by a punk sensibility, effectively distilled through four shots: a skater looking on as his board connects with a car’s windscreen; two people asleep on the ramps of a graffiti-adorned skatepark in Tijuana. A high-angle shot that shows John Cardiel coasting over a glass window, while in another he rapturously gestures the sign of the horns in front of a Slayer poster. United, they depict a seemingly carefree youth, circumnavigating the concerns of the adult world; liberated from the stifling regiments of working life and illustrating an unfettered vibrancy of experience. A documentary and historicising approach provide the backbone of Against the Grain, exploring the sport’s growth from the empty pools of Southern California in the 1970s to London’s current skating scene. 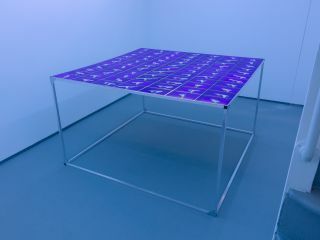 Its numerous incarnations, and evidence of a passionate community, are given extra expression through the exhibition’s magazine-filled vitrines, displaying publications like Thrasher, SkateBoarder and RaD (Read and Destroy), their bright colours and psychedelic graphics popping from behind the glass. A copy of Life from 1965 is also included; the cover of Pat McGee performing flatland tricks provides one of the few early examples of women publicised in the sport. The exhibition doesn’t take a dogged approach to documentation however. In its aim to depict the many facets of skateboarding, it also represents visionary and aesthetic qualities not readily associated with the sport. 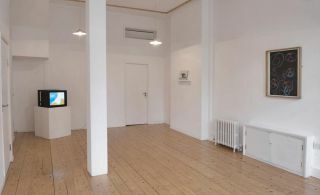 In the rear of the first room are two iconic photographs by J. Grant Brittain, their juxtaposition a compelling balance of light and dark. 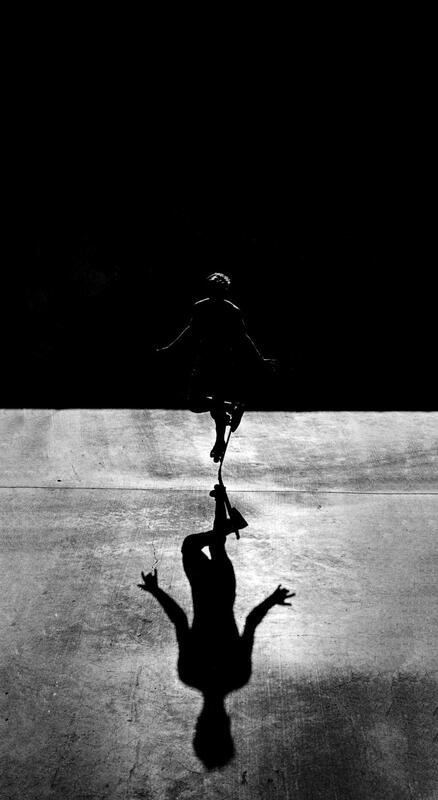 Particularly striking is Brittain’s photograph of Rodney Mullen, captured in silhouette performing a freestyle drop. Poised on his vertically positioned board, only his outline is visible as he hovers in mid-air, his shadow looming in the foreground. 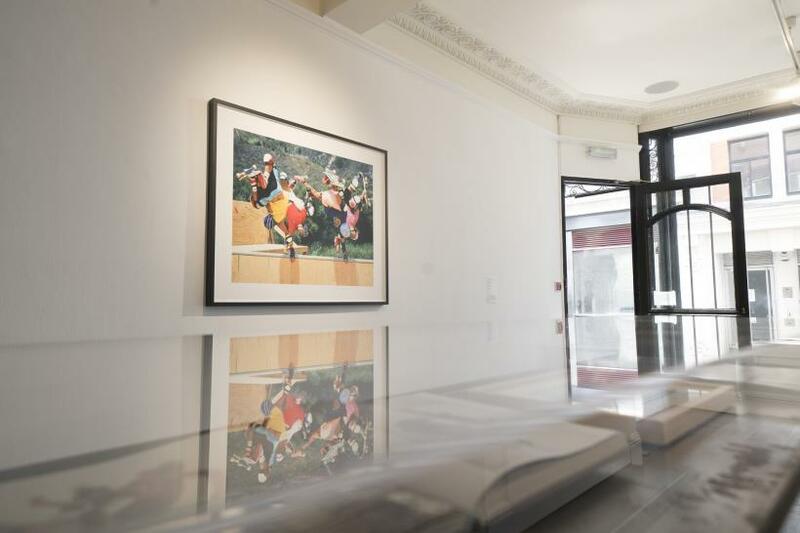 A singular work within the exhibition, its expressive qualities evoke the balletic grace of dance, of a calm centeredness, rather than the more recognisable extremes of height, movement and speed. This aesthetic focus continues into the next room, where Jonze’s previously unseen work illustrates the innate drama and visuality of the sport and acts to transition the viewer from photography into film. An eye-catching photocollage vividly balances colour and monochrome within both artistic and documentary styles, large features with small, intimate photos, in a fluid evocation of the essence of the sport. The adjacent screening room highlights skateboarding’s value as cinematic spectacle, evidenced by a selection of Jonze’s early short-films played on loop, which are simultaneously entertaining, irreverent and endearing. Against the Grain is an energetic explosion of the stereotype of the skateboarder, an attractive proposition even to those who have never dreamt of a kickflip. 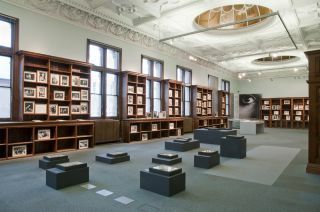 Making light of its ‘bad boy’ reputation in the world of sports with an array of media – photography, film, publications and video – this exhibition elucidates not only the liberating succor to be experienced from mastering obstacles and executing complex tricks, but also the strong communal bonds it helps to form.